A dense spike of fragrant florets surrounded by green sword-like foliage that should be planted along walkways to maximize your enjoyment. 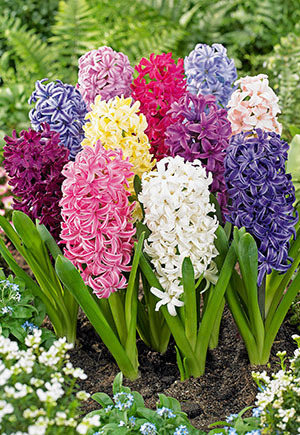 Hyacinths are hardy, deer resistant, very fragrant, and like other bulbs; easy to grow in well-drained soil in full sun to partial shade. 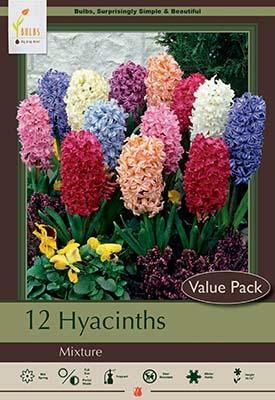 Wear gloves when planting, as bulb dust may cause a harmless skin irritation. Bulb dust can be easily washed off with soap and warm water. Their fragrance is worth the effort.